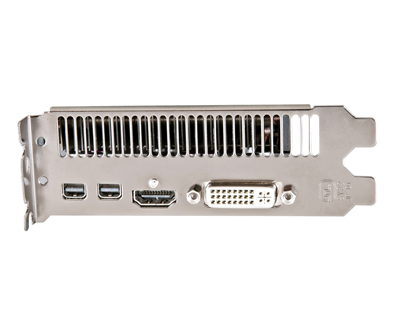 IceQ ensures effective cooling when there is another card in front blocking the fan inlet, such as in CrossFire setup. 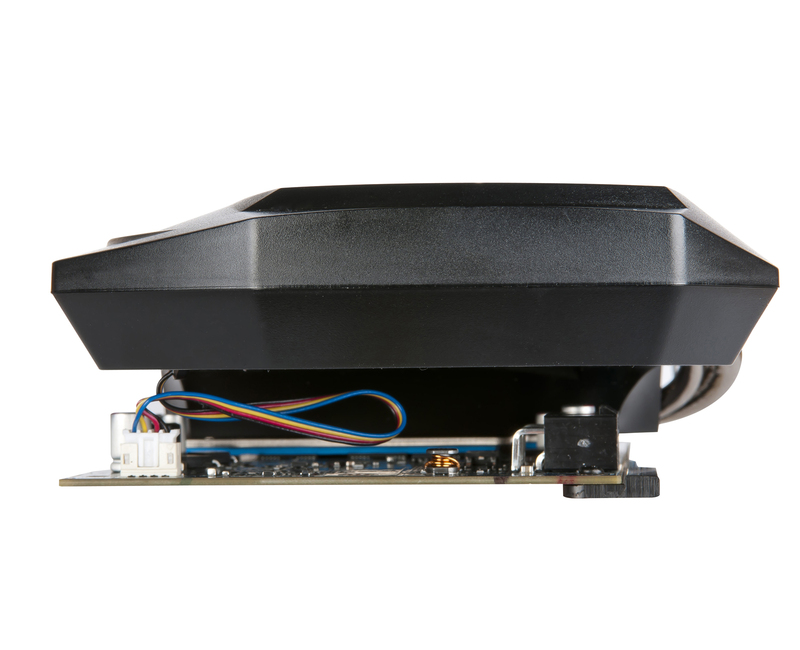 By expelling the hot air, IceQ removes all the heat generated by the GPU out of the computer chassis, prevents the hot air from accumulating inside and enhancing the overall stability. The more crowded the chassis, the greater will be the impact. The demonstration shows that the IceQ does outperform the 3rd party cooler in closed environment. Cool air is drawn from both sides of the fan and hot air is forced out of the computer case. 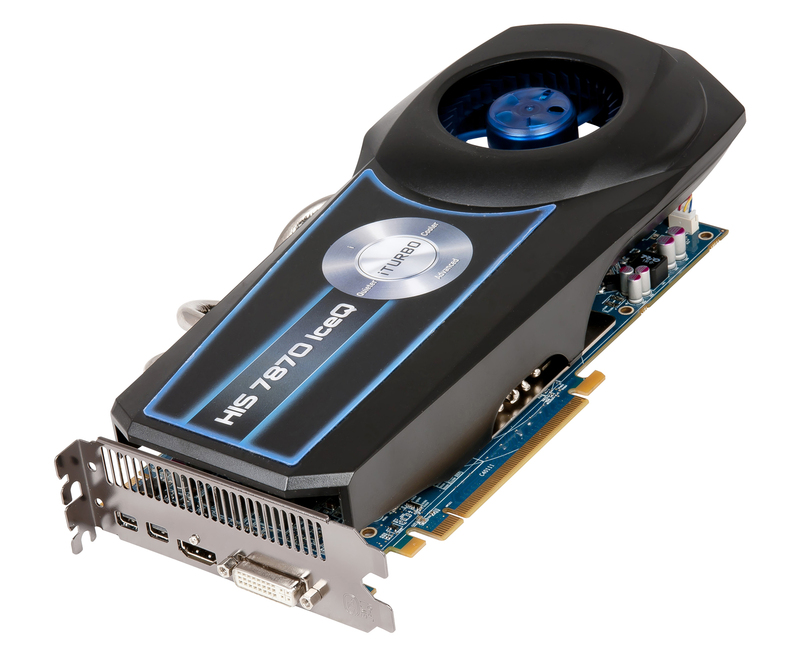 This ensures effective cooling when there is another card in front blocking the fan inlet, such as in CrossFire setup." Black hole impeller ensures large amount of cool air is ready. It draws cool air from both sides of the fan even there is another card blocking the fan inlet on the front side of fan. 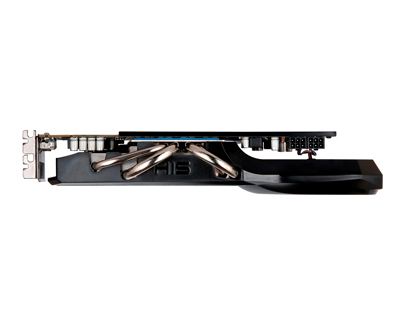 With IceQ, the card is up to 25 °C cooler than the reference cooler. The super large 80 x 21.5mm single blower fan draws massive amount of cool air to cool the GPU directly. The fan is extremely durable with a life span of up to 50,000 hours! 4 wide heatpipes optimize cooling performance by removing heat from the core area. The extra large 35 x 30mm copper heatsink provides a large heat dissipation area. 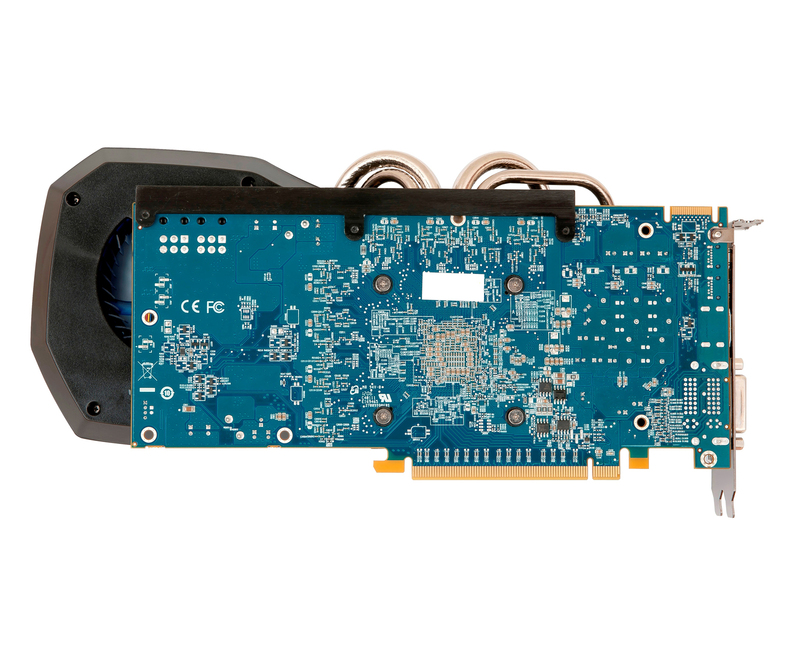 The card also features fan control and fan monitoring, you are able to read fan speed & Asic temperature from CCC or software. 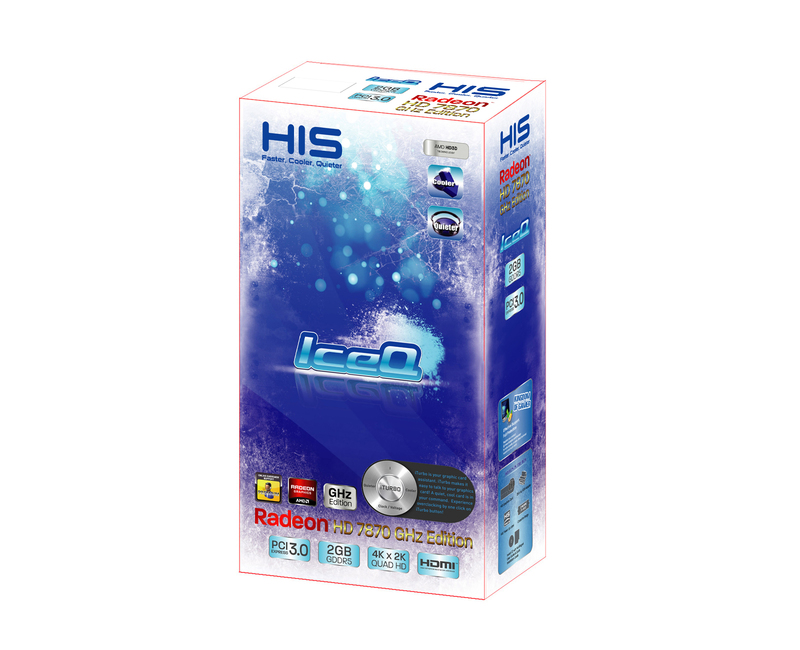 IceQ is one of the quietest coolers. The card is below 28dB when watching movies, surfing Facebook, working. 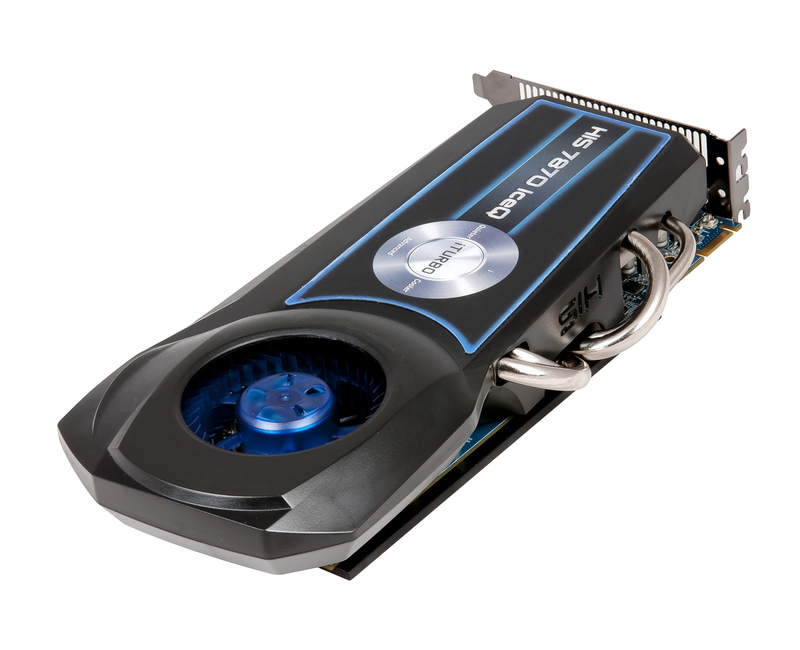 The card is quiet in 2D mode and remains quiet whether you are gaming, online socializing, entertaining or working. The card is up to 6dB quieter than the reference cooler. The card's is armed with Crossfire Connector, ready for 2-way CrossFire & multiplied performance! 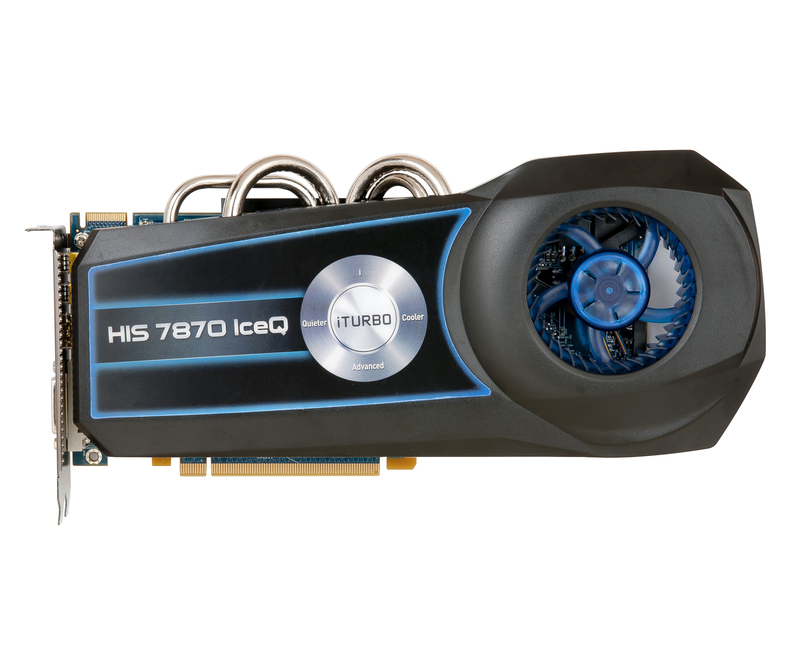 This Card is Great For HD Video Editing........Thanks "HIS"
"The HIS 7870 IceQ GHz Edition has been a pleasure to work with from start to finish...The crisp colours, impressive clarity and results of the benchmarks for a card that is currently retailing at £275 just blows me away. Add to that its ability to overclock by 15% without any problems and stay running at a cool 60 degrees Celsius or below when overclocked is amazing, especially when it does all of this with only a minor increase in power (when compared to my old card). I’m more than convinced this card isn’t leaving my rig any time soon!" 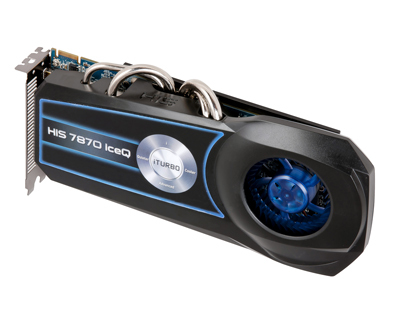 pcGameware "Gold Award"
"HIS IceQ HD7870 1 Ghz is a very well attempted try on a wellcooled and quiet HD 7870 card. 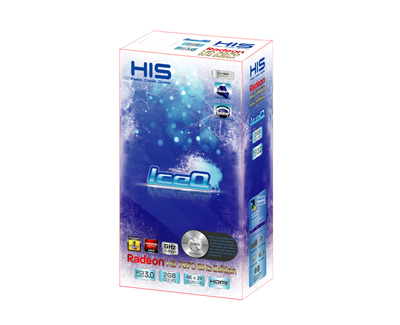 The small makeover of the IceQ cooler has done marvels and the card looks now even better." HwT.dk "Bronze Award"
"If you want to save a few dollars the non-Turbo model from HIS is an excellent option that can be overclocked via the new HIS iTurbo software. The HIS HD 7870 IceQ is just a good buy for people who want an all round video card that hits many areas well. 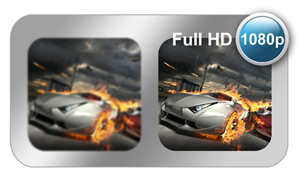 Overall TweakTown Rating 95%." TweakTown "Editor's Choice Award"
"The HIS 7870 IceQ has shown it’s self as an epic overclocker and also that the 7870 is an excellent platform. The card ripped through every game test and did well in the benchmarks too. The IceQ cooler kept the GPU cool and stayed quiet, even while overclocked the auto fan was quiet. 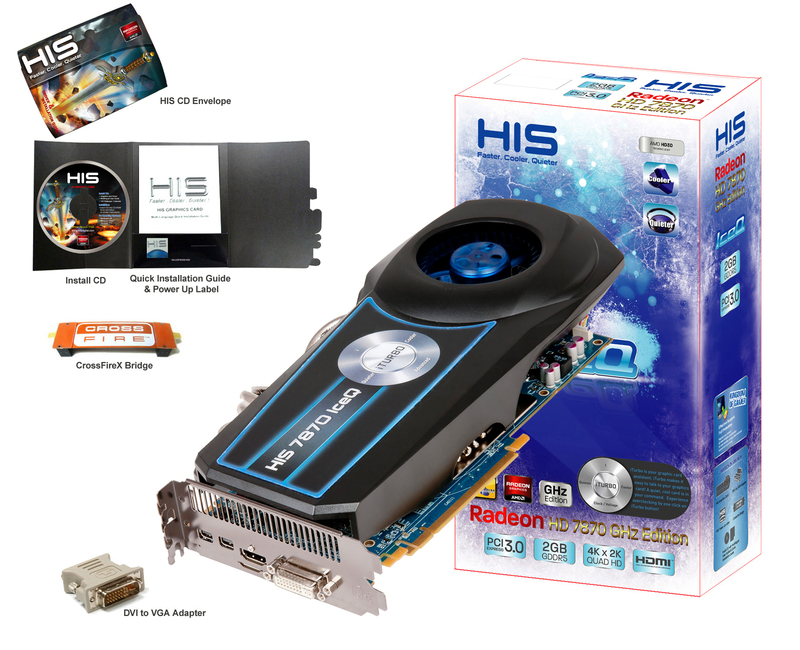 When it comes to aesthetics, if you’re the kind of person with lighting and a window into your case, you will most likely love the look of the card, those heatpipes look pretty flashy." XSReviews "Rated 9/10"